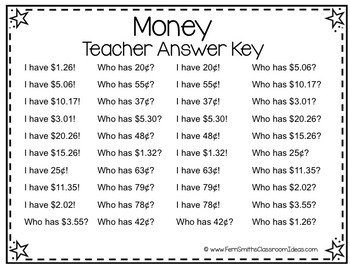 If you like this resource, you can buy it in a larger bundle: I Have, Who Has? Money Bundle! Terrific for an Emergency Substitute Tub, Folder or Binder! Click here for another I Have, Who Has? 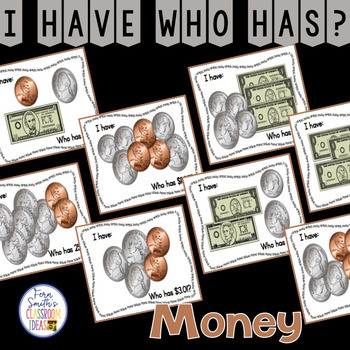 Money Resource - Coins! Click here to see all of my I Have, Who Has? Resources! 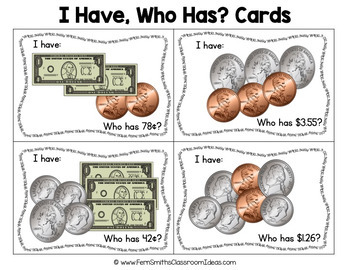 Keywords: I Have Who Has, I Have Who Has Game, I Have Who Has Money, Money, Coins, Bills, I Have Who Has Coin Cards, I Have Who Has Cards Money Coins, Bills. 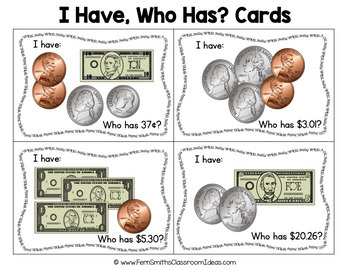 I Have Who Has Money Bills.